A perusal of the Cybersecurity Ventures 2017 Official Cybercrime Report will send shivers down your spine. Crptojacking attacks are up 8,500%. IoT device attacks up by 600%. Software supply chain attacks up by 200%. The impact of these attacks is also rising; global cyber-crime damages are anticipated to cost up to $6 trillion by 2021. “A lot of people think that because they have a firewall or had phishing trainings, they are secure. No, you’re not. Even I cannot help you be absolutely secure. I can get you where you want to be and target your top ten threats, but never say you’re secure. I’m not secure. I’m exposed as well, and I do this for a living. Nobody’s immune,” Khan reports in his recent interview. On the other side, there is a growing belief that security simply doesn’t matter anymore. The data is already out there, and there’s nothing you can do. As the number of cyber attacks rises around the globe, it is more important than ever for businesses – whether they are a small local shop or international enterprise – to perform risk analysis and assessment to ensure they are secure from the most prevalent types of attacks. Clearly, businesses need to have access to a skilled, experienced, and knowledgeable security analyst. Unfortunately, as report after report shows, there are almost 3 million open and unfilled cybersecurity positions around the world. And it’s getting worse. In 2015, 42% of organizations reported a problematic shortage of cybersecurity skills. Today, that number is up to 53%. So, even when businesses wish to invest in information security, it isn’t always easy. For SMBs and mid-market enterprises, there is another potential concern: isolation. Hiring a security analyst means removing them from the broader market – and with that environment comes deeper insight into ongoing and evolving threats. By remaining neutral, security analysts are able to provide broader, wealthier expertise to the business. This is precisely why many SMBs and mid-market organizations work with managed services providers to bring in a security analyst that is able to maintain a broad security perspective. By maintaining awareness of attack methodologies, evolving security parameters, and shifts in hacker mentalities and roles, an MSP security analyst is better able to assess risk, remediate, and deter future attacks for a wide range of organizations. If you have been hunting for a cybersecurity expert, your search ends today. Mindsight’s information and data security professionals are ready to help you create a security roadmap, assess vulnerabilities and risks, and implement the security measures your business needs, so you can rest assured the business – and the data on which it relies – is protected. Sign up for our (free!) 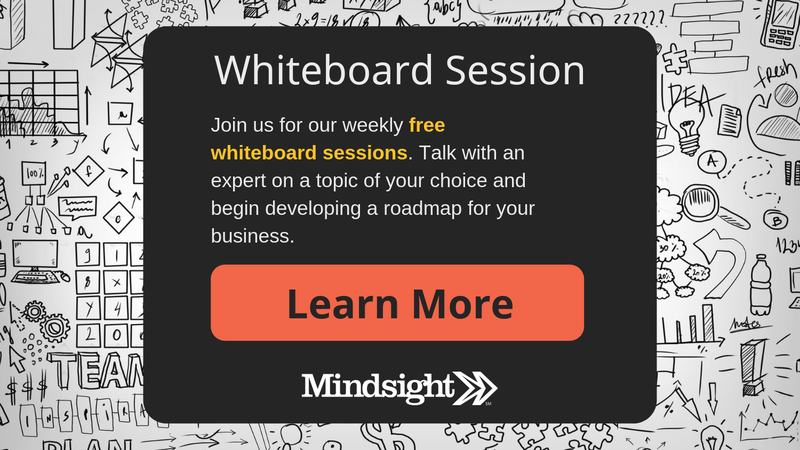 one-on-one weekly whiteboard chats to meet the Mindsight team and talk through your cybersecurity worries. Contact us today to discuss information security. Mishaal Khan, Mindsight’s Security Solutions Architect, has been breaking and – thankfully – rebuilding computers for as long as he can remember. As a Certified Ethical Hacker (CEH), CCIE R&S, Security Practitioner, and Certified Social Engineer Pentester, Khan offers insight into the often murky world of cybersecurity. Khan brings a multinational perspective to the business security posture, and he has consulted with SMBs, schools, government institutions, and global enterprises, seeking to spread awareness in security, privacy, and open source intelligence.